Donald joined Hurd Rolland in January 2007 working with Ken Williamson in the Expert Consultancy section on investigation of all matters relating to building design, construction, operation and performance, as well as professional practice and contract administration. He began his career with Law & Dunbar Nasmith in Forres in early 1982. Donald studied at Scott Sutherlands School in Aberdeen from 1983 to 1987 achieving BSC Hons Architecture with First Class Honours. He stayed with LDN in practical training and Completed his PG Diploma at Scott Sutherlands in 1989, and his second practical training year at LDN, winning the Harbourne McLennan award for the best RIBA Part 3 assessment result. 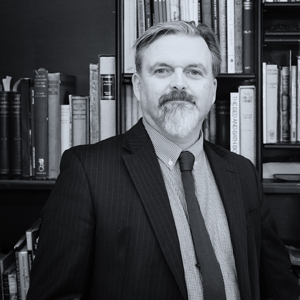 He developed an early interest in contract claims, liability, disputes and resolution in design and construction in the 1980s and 1990s while in Moray, and completed the PG Cert Course in Construction Law and Arbitration at RGU in the 1990s. His work included Historic Buildings of all grades, high value bespoke residential projects, small scale residential and commercial projects, social housing, and branded visitor centres. This work took him to Edinburgh in 1998 to work with the design practice Skakel and Skakel on United Distillers and other visitor facilities. He moved to Crerar and Partners in 2000, working on leisure projects, and in 2002 he moved to Keppie Design, initially in Glasgow and then to their Edinburgh Office, becoming a regional director in 2006. He won the competition for, and then completed, the award-winning ultra-low carbon Headquarters for Scottish Natural Heritage in Inverness in 2007. He also lectures and tutors part time at Edinburgh on their MSc Advanced Sustainable Design Course and is very keen to encourage the advancement of sustainability and passive design in the built environment. He has been an RIAS Council member over many years in the Aberdeen, Inverness and Edinburgh Chapters and has been the President of Edinburgh Architectural Association since 2015, heading up the Edinburgh contribution to the Scottish National Festival of Architecture in 2016.